New York, NY, November 13, 2008 – Eight groups representing tens of thousands of people in the US, Palestine and Israel have called on the Marriott Marquis hotel in Manhattan to cancel the November 17th dinner for the Brooklyn-based Hebron Fund aiming to raise money for Israeli settlers in the Israeli-occupied West Bank city of Hebron. 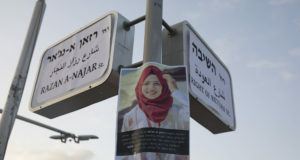 In a November 7th letter the groups said, “The Marriot Marquis will be facilitating activities that directly violate international law and US foreign policy, actively promote racial discrimination, and, at least indirectly, support brutal Israeli settler attacks on Palestinian civilians and the ethnic cleansing of Palestinians from Hebron.” The signers of the letter include Adalah-NY, Coalition of Women for Peace, (Israel), Gush Shalom (Israel), Jews Against the Occupation-NYC, Jewish Voice for Peace, Palestinian Boycott, Divestment and Sanctions National Committee, US Campaign to End the Israeli Occupation, and WESPAC Foundation. Adalah-NY has called for a protest at the hotel on the 17th if the dinner is not cancelled. In Hebron 700 Israeli settlers, living amidst 150,000 Palestinians, are attempting to expand their hold on the historic old city by expelling Palestinian residents, and connecting their settlements to the neighboring settlement of Kiryat Arba. 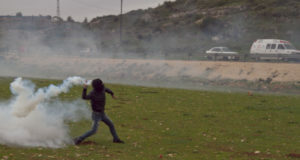 According to B’Tselem and ACRI, Hebron’s settlers’ attacks on Palestinians have included “physical assault, including beatings, at times with clubs, stone throwing, hurling of refuse, sand, water, chlorine…destruction of shops and doors, shattering of windows, thefts, cutting of fruit trees, destruction of merchants’ stands.” Defence for Children International-Palestine Section has also documented settler attacks on Palestinian children in Hebron. In 1994, Baruch Goldstein, a Hebron settler who grew up in Brooklyn, executed 29 Palestinians as they prayed at a mosque in Hebron. In a September 24th, 2008 radio interview, Hebron Fund Executive Director Yossi Baumol explained, “There are real facts on the ground that are created by people helping the Hebron Fund and coming to our dinners.” Creating “facts on the ground” is the mantra of the Israeli settlement movement. A March 2007 joint appeal by The Hebron Fund and Jewish Community of Hebron called for donations saying, “Dozens of new families can now come live in Hebron… waiting for you to be their partners in the redemption of Hebron – by providing doors, windows, heating systems and many other necessities.” The Hebron Fund has launched other, similar fundraising appeals for settlements. An August 25, 2008 Reuters article noted the seeming contradiction that, “The United States says Jewish settlements in the occupied West Bank threaten any peace between Israel and the Palestinians — yet it also encourages Americans to help support settlers by offering tax breaks on donations.” Reuters notes that US non-profits like the Hebron Fund fundraise for settlements even as US Secretary of State Condoleezza Rice “has pressed Israel to cut its own financial incentives for settlers.” According to the Hebron Funds US tax forms obtained by Adalah-NY, the organization has raised $10.4 million for Hebron’s settlers from 2000 – 2006. The Hebron Fund’s 1982 “Certificate of Incorporation” as a not-for-profit, also obtained by Adalah-NY, says the purpose of the organization is to “advance public knowledge and disseminate information”, and to raise money for various “educational, religious and medical institutions located in Hebron.” There is no mention of settlement construction.